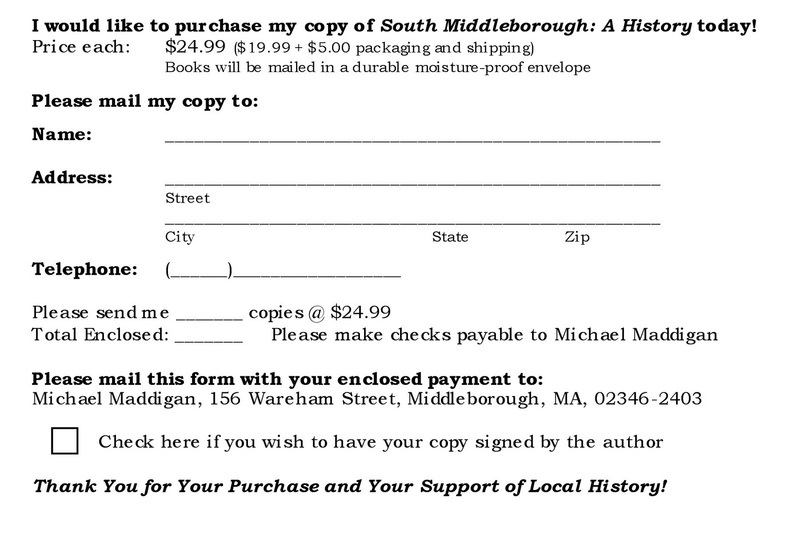 Recollecting Nemasket is pleased to announce the publication of South Middleborough: A History by historian Michael J. Maddigan. Produced by the History Press, a publisher of the highest quality local and regional history titles from coast to coast, South Middleborough is a comprehensive history of the South Middleborough community from its first settlement through the present day. 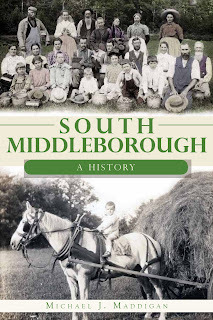 The history is profusely illustrated with over 80 images and maps from the author's personal collection, the Middleborough Historical Association and South Middleborough residents. In the late 1700s, settlers flocked to South Middleborough, Massachusetts, for the tall white pines that fed a booming lumber industry. Despite this early promise, residents struggled with frequent fires, financial losses and bitter debates within their young community. Local historian Michael J. Maddigan charts the history of South Middleborough from its early years, with stories of the contentious ministry of Reverend Ebenezer Jones and the original Hell's Blazes Tavern, into the twentieth century, with memories of Wareham Street's "milk shake king" and feisty candy maker Lucy Braley. 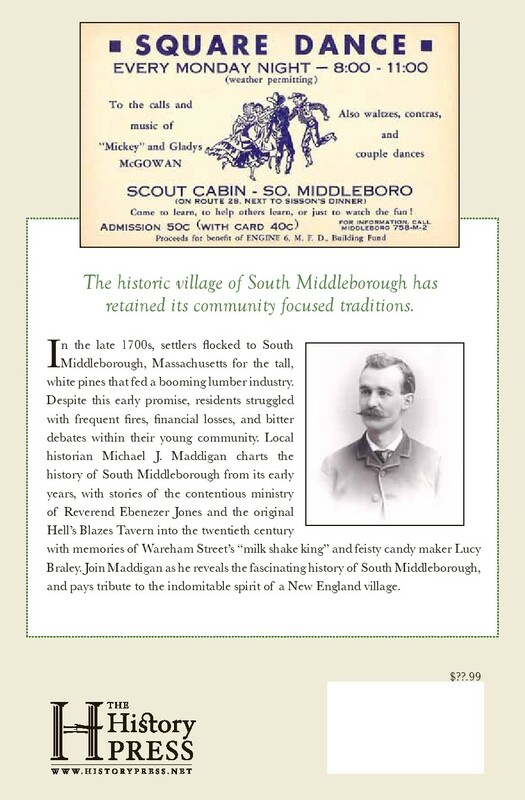 Join Maddigan as he reveals the fascinating history of South Middleborough and pays tribute to the indomitable spirit of a New England village. Michael J. Maddigan has been active in the fields of local history and historic preservation for nearly thirty years, and he currently serves as the vice-chairman of the Middleborough Historical Commission. 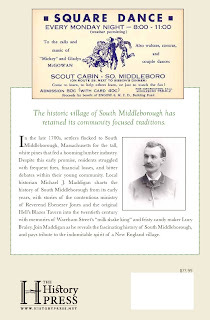 He was responsible for the successful listing of South Middleborough on the National Register of Historic Places in 2009, much of the research for which forms the basis of South Middleborough: A History. His other works of local history include Images of America: Middleborough, Elysian Fields: An Illustrated History of Rock Cemetery and Lakeville's King Philip Tavern. He is the author of the popular local history column "Recollecting Nemasket," as well as the website of the same name. 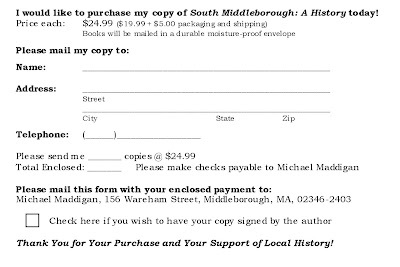 To order your copy of South Middleborough: A History today, simply print the order form below, complete, and mail with your payment to the address indicated. (To print, click on the form, then right click and select "print picture").